Badrinath is one of the holy towns of the Hindus located at Chamoli district of Uttarakhand in India. It is the most important of all the four dhams in India. The town of Badrinath lies between Nar and Naryana mountain ranges and in the shadow of Nilkantha peak, 301 km north of Rishikesh. The town is located at an elevation of 3,133mts above sea level on the left bank of Alakananda River. The main attraction of Badrinath is the Badrinath temple also known as the Badrinarayan temple. It is dedicated to Lord Vishnu and is also one of the 108 Divya Desams or holy shrines of Vaishnavities. The present temple is conical in shape built two centuries ago by the Garhwal kings. 15 idols are present in the temple complex, each built in black stone. Lord Vishnu is represented here in a meditative posture and is flanked by Nar and Narayan. According to legend, the temple was originally established by Adi Shankaracharya which was renovated several times after its establishment. 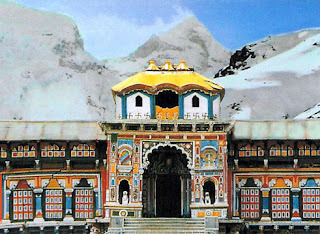 Badrinath is also one of the Panch Badris. The other four badris are Yogadhyan Badri, Bhavishya Badri, Bridha Badri or the 'Old Badri' and Adi Badri. Some of the other attractions of Badrinath include the Tapt Kund a natural thermal spring on the banks of the Alakananda. It is believed that the water of this kund has medicinal properties. An important pilgrimage detination of both the Hindus and the Sikhs is Hemkund Sahib located at a distance of 43kms from Badrinath. 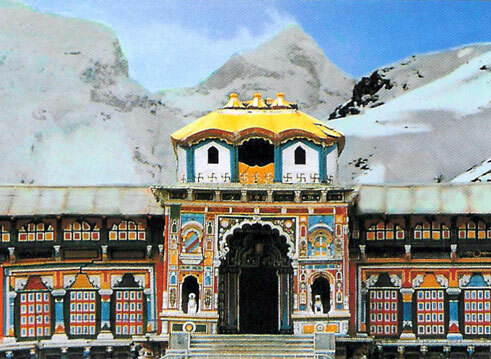 Neelkanth is another prime attraction of Badrinath which is a snow-covered peak of Badrinath. You can also visit the Panch Prayag i.e. Devprayag, Rudraprayag, Nandprayag, Karnaprayag, Vishnuprayag; from Badrinath. You can also visit the Mata Murthi temple which is dedicated to the mother of Sri Badrinathji. 3km from Badrinath is Mana village inhabited by an Indo-Mongolian tribe.